They liked it. Visitors really liked it. They walked into the room and said ‘Wow!’ out loud. That was what we had wanted, after all this was Window on Wild Lindisfarne, or WoW for short. The window part of the Window on Wild Lindisfarne. It needs some help to become a WoW. Yes, it was a tiny room, but one that had been very important to us. 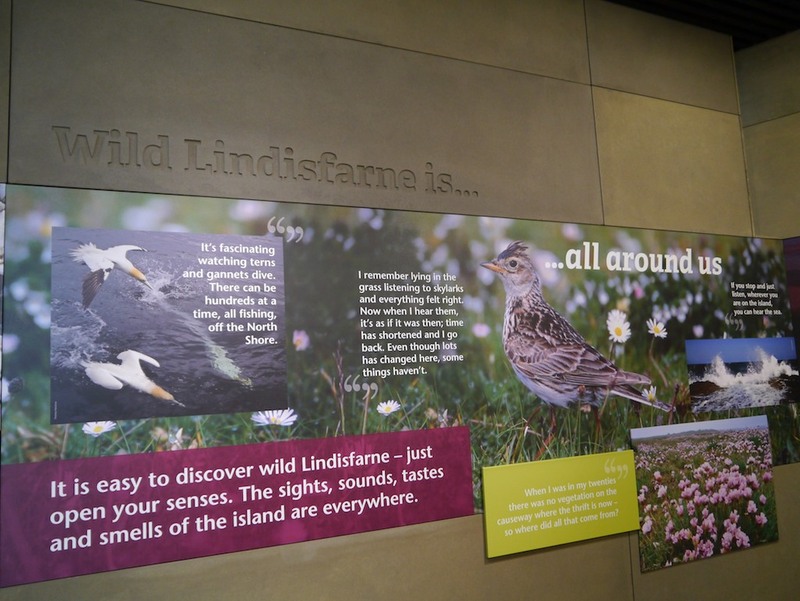 This space had to convince visitors that The Holy Island of Lindisfarne, a small patch of windswept rock and sand off the north-west coast of England, was really important for wildlife. 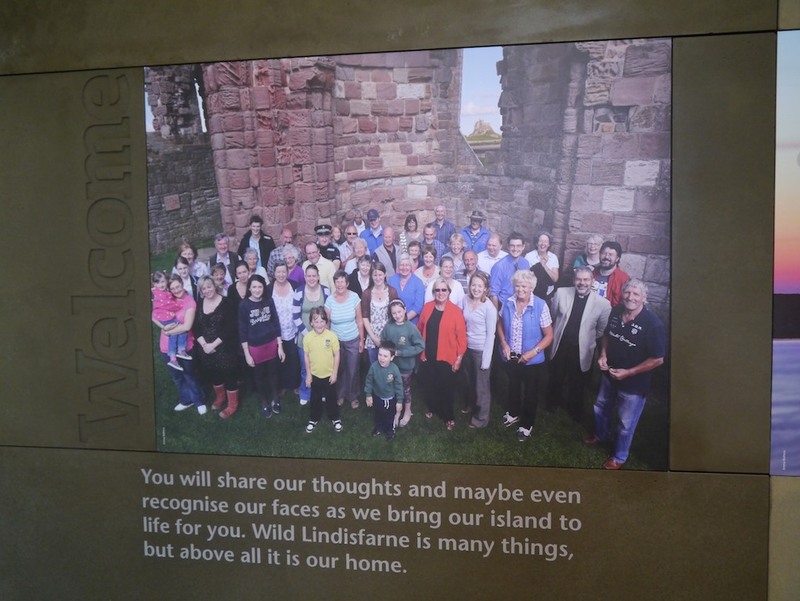 It was about encouraging people to see and experience more of the wild side of Lindisfarne. There had been special challenges involved in this, but we saw visitors there, hugely enjoying it, we knew we had found good solutions. Which is, of course, our job. Firstly Lindisfrane is dripping with historical and spiritual heritage. That is what draws people. We therefore had the task of deflecting attention, for a moment, from what they had come to see. Beautiful images of this most beautiful place are important. 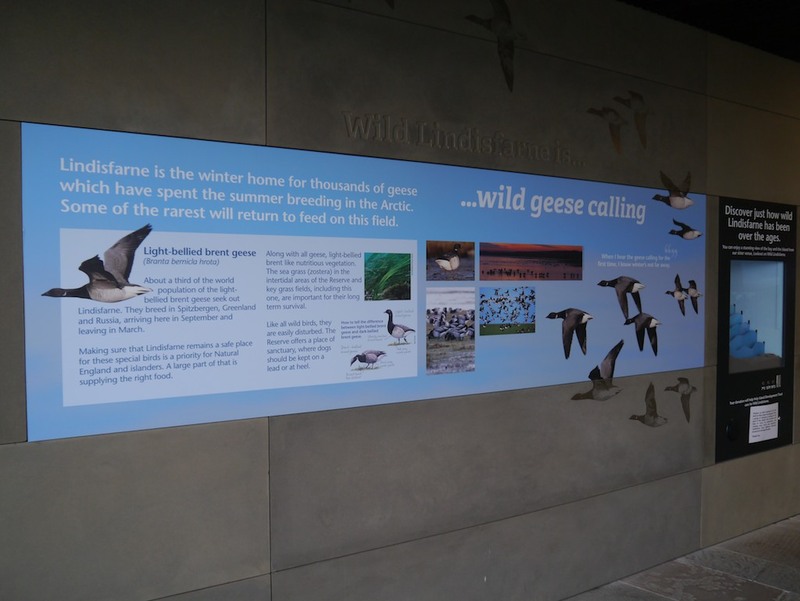 Secondly, the most amazing of the amazing wildlife is the light-bellied brent geese who fly here from Scandinavia. 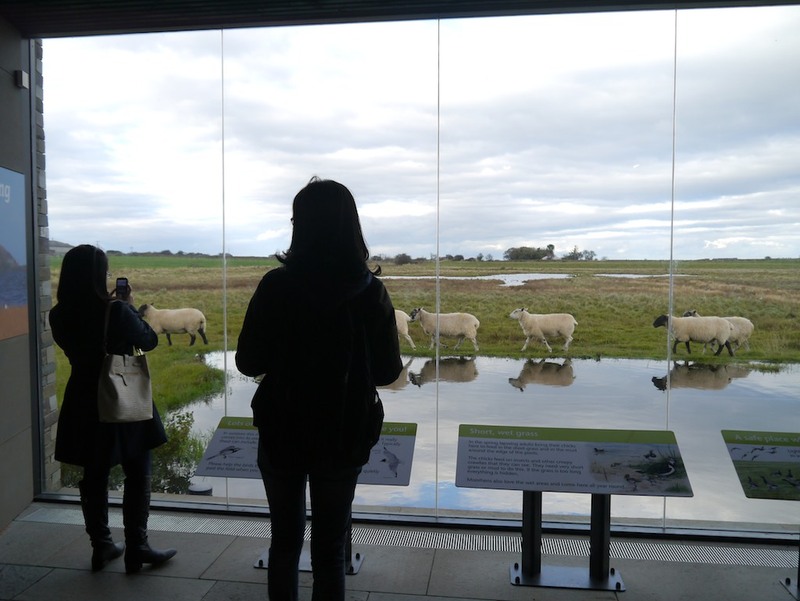 The grassy field in front of the window is where they like to feed and roost – but only in winter, and often only at high tide. That of course, does not tie in with visitor movements – most visitors come in the summer and the island is inaccessible at high tide. This is a good example of an unpredictable and difficult wildlife subject! Designers CDA made nice use of materials showing the flying gees moving from panel to stonework. Thirdly the space was small and divided between two buildings, one of which didn’t exist yet. The community of islanders, our client, whose passion for their place shines through all the interpretation. Working with them was a joy. From the start we were determined that as much of the story as possible would be in their words. So we ran workshops and edited the transcripts with the lightest and deftest of touches. The people of the island – the interpretation uses their words to share their stories. Lots of visitors come to the island. 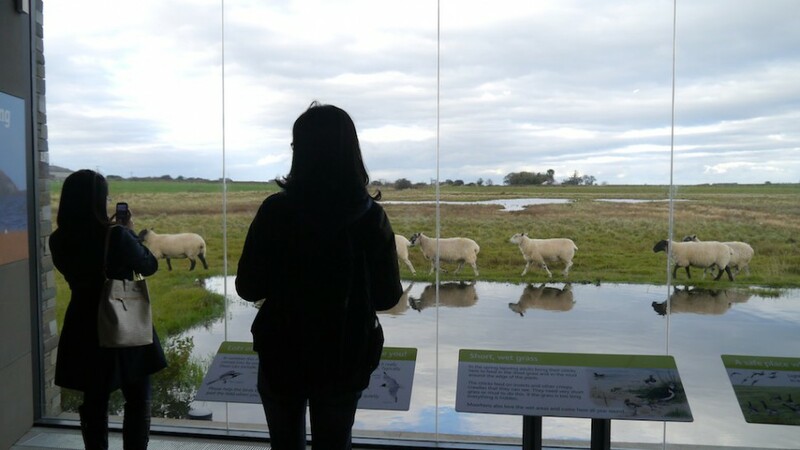 No, they don’t come for wildlife but they come – and we had been told they needed more to do during their visit. Certainly the local pubs and tea shops wanted them to stay longer. Here good interpretation would definitely contribute to a hard-pressed and tourism-reliant local economy. 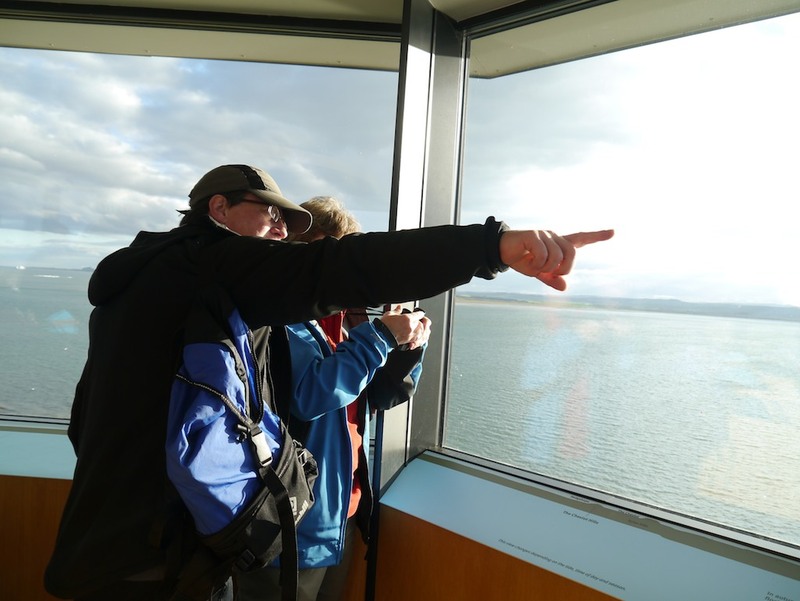 One of the buildings was an old coastguards’ lookout with great views over the island. A room with a view is always a gift to an interpreter. I am proud of what the team produced here: our friends and longest of long-term TellTale associates John and Deborah Conibear of CDA did a great job with the design and implementation of all the graphics and the production of the video: Laurie Campbell, one of the UK’s top wildlife photographers was wonderfully generous in allowing the use of his fabulous images; another TellTale buddy Dan Powell, leading wildlife artist, did the illustrations. Associates of CDA (whose names sadly I do not know) provided the ‘historical photographs’ and the interactive donations box. My TellTale partner, Peter Phillipson, developed the concept (with CDA), provided interpretive and ecological input, facilitated the workshops and worked with the community. I provided the words (and maintain the fact that there are so very few of them makes that a major contribution). Thanks to all of them, this is one of the jobs we are most proud to have been involved with. See more TellTale projects. You sound surprised! It looks fab. Not exactly surprised, Ivan, but, partly because I am somewhat hypercritical, I almost expect to something I really wish we had done differently when visiting a project for the first time after completion. That didn’t happen here, maybe because the place was full of visitors clearly enjoying it. Their views as ever are what matters! Susan – it looks great. 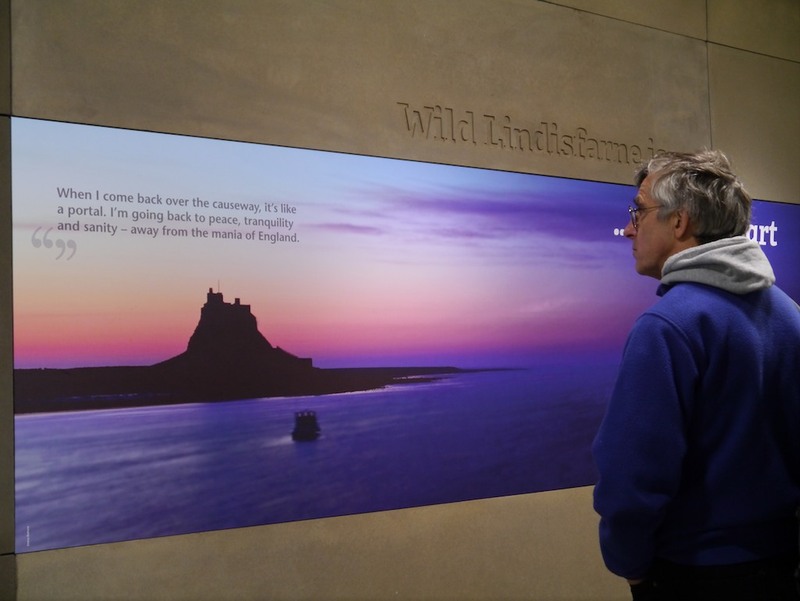 Lindisfarne is one of my favourite places in the whole world – very special and deserves a new feature like this. Thank you very much for that, Peter. 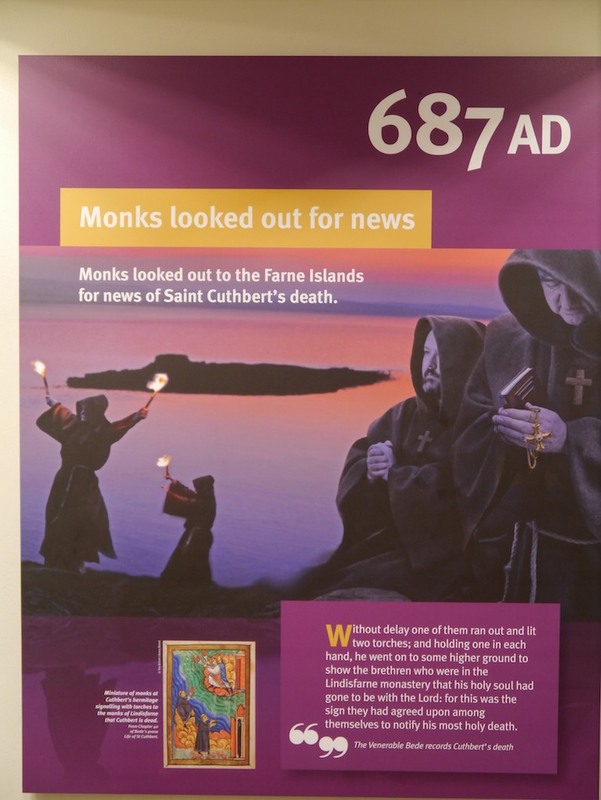 Lindisfarne is one of my favourite places too – which made it particularly important to me that the small exhibitions did it justice and maybe helped other people see its loveliness.